Pad Man Screen Count, Running Time and Censor Certificate Details. Pad Man is the upcoming Bollywood release happening this Friday that is in few hours from now on. It is easily one of the biggest release of the year starring Akshay Kumar and Sonam Kapoor. Film has created good enough buzz across social media and internet. Film is expected to do well in metros and big cities. It is the interiors where film have to take word of mouth start. Pad Man has managed a good screening of 3200-3300 screens across India as per last report. Screen allocation is still happening and final count may be little higher. Film has got good screening across India and has potential to collect big. Good news is that film will enjoy Mahashivratri Holiday on Tuesday and then there is Valentines Day on Wednesday. But those two days falls on weekdays and film will need positive word of mouth to take full utilise of those days. Pad Man has got UA certificate from censor board (CBFC). Film running time is around 2 Hours and 20 minutes. Pad Man is made on control budget and hence, there is no such difficulty regarding the recovery. 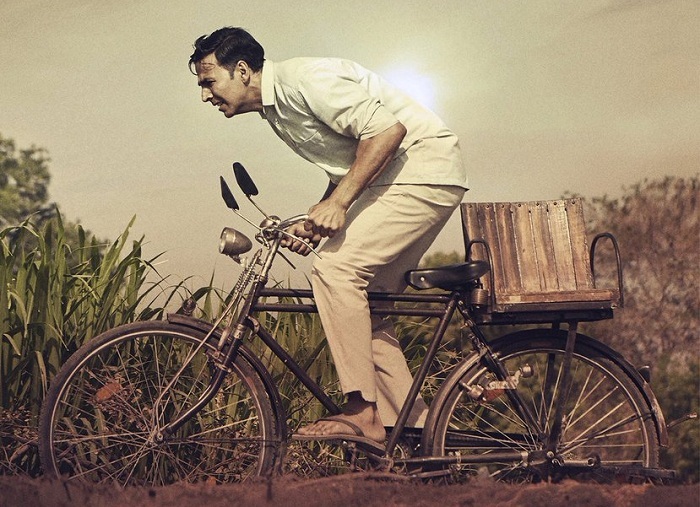 However, it being an Akshay Kumar film trade expect it to be another 100 crore grosser in India. It will be even nice if film manages to cross 125 crore nett or even more in its theatrical run in India.